I did a real food series taking each letter of the alphabet and choosing a real food item or concept that started with that letter. 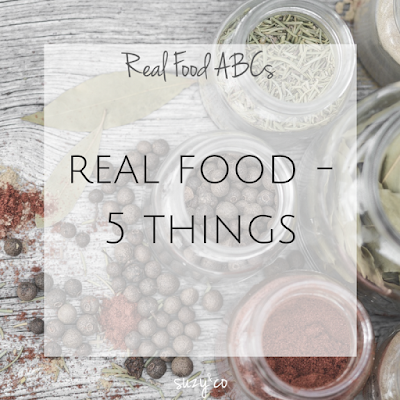 If you missed any of the letters, you can find them under the real food abcs label. 1. Finding real food that starts with each letter can be a challenge. There were some letters, like X, that I needed to be creative. I think it worked, but it wasn't always easy. 4. Some letters it was really hard to choose an item because there were so many choices. 5. My favorite abc post? I think I would go with H for How much homemade. I think it sums up not only the series but my blog as well and what I hope people take away when they read it.